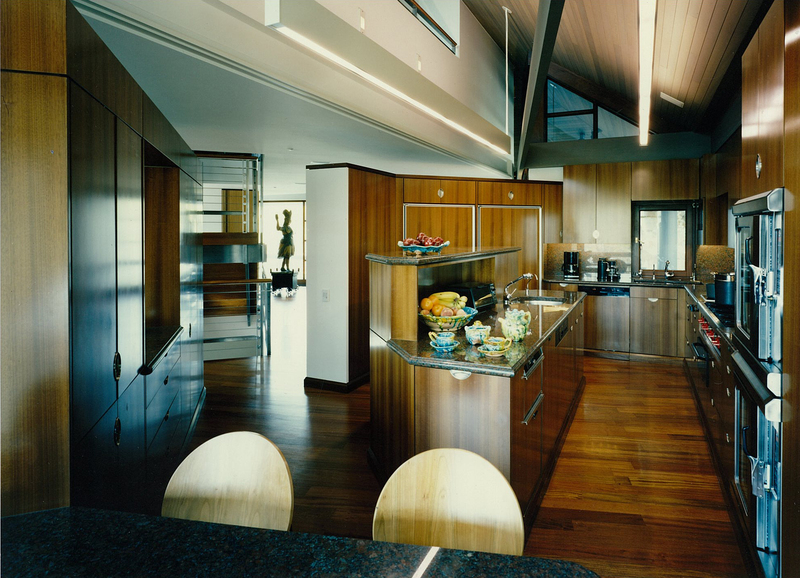 An example of the kitchensystem altered to accommodate a 15° rotation in the plan of the client’s home. Note Storage and Wet Prep are both shifted past 90° to the “T”, but still follow a progression into two parallel counters…not optimum, but certainly still quite functional. Wet Prep and the counter between that and Hot prep work extremely well. An interesting detail is the prep sink is 34” (actual basin width) and the scullery sink is 22” wide. While this may seem counter-intuitive, it actually works better than the reverse. The preference, given the use of the kitchensystem Elements and Accessories is for two large sinks. If for some reason it is thought one sink should be smaller, it should be the Scullery sink.